At any given moment in the immensely popular Call of Duty first-person shooter games on consoles and computers, you might blast your way through a crumbling near-future city, dominate worldwide competition in frantic online shootouts, or survive a horrific zombie uprising with a small group of allies. By contrast, Call of Duty: Heroes (free) for iPhone and iPad finds you tapping your way through menus, watching your automated soldiers fire assault rifles at large buildings until they blow up, and waiting for timers to tick down. Quite a difference, no? Veterans of a certain lightweight freemium strategy approach will recognize this as a modern-military themed take on Clash of Clans, and no doubt, Activision hopes that audience will move from one big brand to another. But what of the core Call of Duty fans? Heroes’ title refers to the fact that you can pull in familiar characters from the shooter franchise’s greatest hits, but that alone isn’t likely to convince players to invest the ample time—and, let’s face it, real-life money—needed to generate much success or excitement within this rote design. Remember all those hours spent in Call of Duty 4: Modern Warfare and Call of Duty: Black Ops mining gold and drilling for oil? No? Me neither. It’s fair to say that Call of Duty: Heroes doesn’t make that strong of an effort to disguise its heritage as a Clash of Clans-alike, albeit one now slathered with the name and likeness of Activision’s $10 billion franchise. The hurry-up-and-wait approach might test the patience of Call of Duty fans. You’ll want to enhance your base as quickly as possible, but lengthy timers halt progress without spending Celerium. 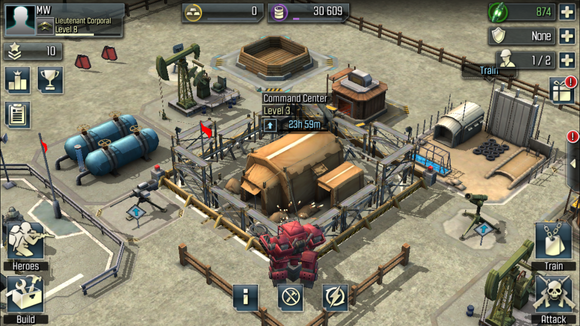 The core mechanics are identical: you’ll slowly amass resources and begin expanding and enhancing your base, which means waiting anywhere from half a minute to a full day for buildings to rise and upgrades to complete. Or you can spend precious Celerium, the premium currency found in Heroes. You’ll start off with a seemingly generous amount, but if you’re hoping to play for more than a few minutes every couple of hours—or get anywhere fast—you’ll be tempted to shell out for packs that cost between $5 and $100 in real-world money. 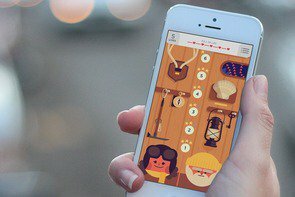 Of course, you can play without blowing through Celerium—which very slowly accrues through daily bonuses and other promotions—but making progress is a real grind. And that’s the point, isn’t it? Even the missions reinforce that notion: “Create this building and get a reward! Now upgrade that one and get a reward!” Except that each further rendition takes more resources and more time to execute, which applies to every structure, unit, and upgrade in the game. And so you wait. 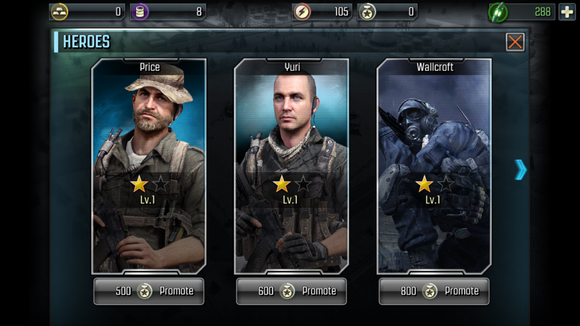 That’s not unique to Call of Duty: Heroes, but the series’ first freemium spinoff makes little effort to disrupt the genre. Instead, the core experience simply mimics Clash of Clans and its ilk with the constant allure of a larger base or more powerful soldiers on the horizon. And yet millions of people fire up Clash of Clans daily, so clearly that gameplay approach has its willing devotees. So what makes this a Call of Duty game? Luckily, some of the familiar series flavor comes into play. For example, you can summon flying drones and other futuristic vehicles from the main games, and the unit classes are all based on the kinds of soldiers you’ll fight alongside in the Modern Warfare and Black Ops entries. The menus and UI also feel suitably grounded in the Call of Duty universe. 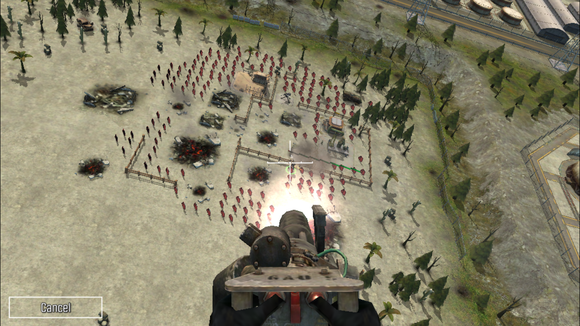 This brief, helicopter-mounted turret sequence lets you focus a little extra damage onto the base below while your soldiers do their thing. Memorable Modern Warfare characters like Price and Soap lead the pack of heroes available to summon into battle, and they’re slightly more interactive than the average grunt: you can redirect them to particular locations, although they’ll still attack on their own. Furthermore, each has “killstreak” skills like those seen in the main games’ multiplayer offerings, such as briefly manning a helicopter machine gun turret to spray some bullets down onto an enemy base below. And Survival mode is a nice little addition that recalls the cooperative modes seen in the shooter entries. You’ll still face off against waves of increasingly powerful enemy battalions, only here you’re simply testing out the strength of your existing base—rather than, say, blasting soldiers in the face with the click of a trigger. Still, it’s something. Those additions do the smallest bit to separate Call of Duty Heroes from Clash of Clans, but not dramatically so: the drudgery remains intact, and merely seeing portraits of fictional heroes doesn’t really help overcome the bouts of tedium. Here are three of the five current titular Heroes, mostly pulled from the smash Modern Warfare games. Sadly, there’s no real narrative context provided for series fans; these could be anyone, really. What’s disappointing is that Call of Duty: Heroes seems content to be another rehash with a big-name brand attached. With the resources of Activision, Heroes could have elevated the genre, adding some much-needed excitement or moving away from such a transparent push towards in-app purchases. Instead, the boring resource gathering is still boring, your soldiers seem to actively seek out death, and the visuals and animations are very underwhelming. The recent Star Wars: Commander is a better example of taking this genre and making it fit well with an established brand. With two opposing sides to choose from, decent narrative hooks, and nice use of the series aesthetic, it avoided feeling like a quick cash-in. What could have made the difference here—besides an emphasis on more active gameplay, even if it broke from Clash of Clans design tenets—is some kind of connection to the series heroes, through story segments or even simple dialogue exchanges. Or maybe a tie back into current console entry, Call of Duty: Advanced Warfare, like unlocking exclusive content or temporary XP boosts for online play. Anything to add extra layers of motivation to the mundane micromanagement would have been an upgrade. 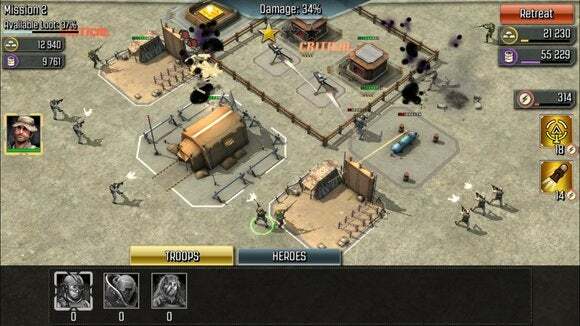 Call of Duty: Heroes isn’t a miserable experience; it’s a fair time-waster and a slight alternative to Clash of Clans. But it adheres closely to a flat, unexciting formula that isn’t compatible with the shooter series’ frenetic pace or consistent feeling of being the star in a Hollywood action epic. The brand might make this kind of game more appealing to some players, but extending the series into a trendy genre for the least Call of Duty-like Call of Duty game ever—without majorly improving on the familiar design—doesn’t say a whole lot for the franchise or its mobile future.